Infinix vs Tecno Phones, which is better? In the smartphone industry, competition and hatred has existed between Samsung and Apple phones; Android vs iOS. The competition have been in boardrooms, courtrooms, and in the streets among the fans of the two top brands. Although Samsung phones have delivered high end top notch specs, Apple has consistently delivered on design and efficiency. I was surprised the other day that the fight among iSheep and Samsung fanatics still exist – but that’s elsewhere. In Kenya, there is a slowly far fetched fight that is starting to take shape in the Infinix vs Tecno phones, and rightly so as one search term, “Infinix vs Tecno Phones, which is better?” landed someone on this website; and I thought, why not write about it. When comparing brands rather than products, what is always compared are: 1. Brand Popularity, 2. Design and Aesthetics, 3. Quality of Products under the brands and 4. Class association with the brand. So let us dig into these. In the last 30 days over 120,000 different devices (Windows PC, Macbooks, Tablets, Android smartphones, iPhones, etc) have been used to access content on this website. Of those devices, 32% have been Samsung Phones, 11.5% Apple phones, 6% Tecno phones, 5.9% Huawei phones and 5.6% have been Infinix phones among other phones. Given that the over 6,000 unique individuals who access this website every day are mainly Kenyans at the rate of 84%, it is acceptable to generalize that the device statistics represent device ownership in Kenya especially in Nairobi. If this be true, the brewing battle of Infinix vs Tecno has Tecno taking the mantle on brand popularity. This agrees with a non-scientific data collected on Twitter that revealed that 31% of Kenyans who responded to an Infinix vs Tecno question preferred Tecno phones whereas only 28% of them preferred Infinix phones. Infinix vs Tecno on Brand Popularity, Tecno wins. Around the time Samsung Galaxy S4 was launched, I found myself in the Safaricom Shop at Kimathi Street. I can’t remember what took me there but I remember that’s the first time I saw the name Infinix on a phone. The phone was slim, black, and stood out among the rest. I looked at it, wanted to touch it, but I ignored it. It looked nice but affordable. When Samsung Galaxy S4 was priced around shs 75,000, the better looking Infinix handset was priced at only shs 29,999. I got served at the customer care desk then tried to get out of the shop without touching the phone by I couldn’t. I just had to have a feel of the well designed handset. It was light, the screen was smooth and felt strong. The plastic body felt as though it were a metal. On the specs side, I discovered that the reason it was lowly priced compared to the top end devices of the day was because it had compromised a bit on screen resolution, storage and camera, but the specs were still useful. Around the same time Tecno was all over churning out more affordable feature phones and low budget phones every so often. It was the time that Tecno was already making aggressive moves to take over the smartphone mantle from Samsung in Africa, but as I noted in that 2013 article (follow the link above), the young tech savvy Africans especially Kenyans were shunning the Tecno brand as it wasn’t a cool brand to associate with. Today, I personally still feel that Tecno has a name does not sound like a cool brand especially when compared to brands like Samsung, LG, HTC and even Infinix. The lowliness of the Tecno brand name in most part stems from the fact that for a long time it was associated with cheap feature phones before properly venturing into the top tier smartphone market. But there are those I have interacted with who would rather own a Tecno phone instead of an Infinix one. These are people who have been accustomed to hearing and seeing the word Tecno everywhere they go; people who are just starting to familiarize themselves with the Infinix brand. Although they agree that Infinix sounds better, is better looking in design and aesthetics, to them Infinix could just be another fake Chinese brand. In Design and Aesthetics, Infinix wins. When it comes to quality of products I will only compare Infinix vs Tecno in line of the phones I have used from the two brands: Tecno Phantom 5, Tecno Boom J8 and Tecno C8 from Tecno and Infinix Hot 2, Infinix Hot Note and Infinix Hot Note 2 from Infinix. Other than Tecno Phantom 5 which is a high end device that requires you to cough roughly shs 45,000 in order to own, Infinix phones feel and look quality. Currently I have both Infinix Hot Note 2 and Tecno Boom J8, and whenever I walk, I feel more comfortable holding the Infinix handset with less care as it feels stronger, likely unbreakable. Actually my Infinix Hot Note once fell from near my head to the tarmacked road down at my feet when I was walking along Kenyatta Avenue Nairobi, and I picked the phone as if nothing had happened. I didn’t even feel the instinct of checking out whether it was still working. The biggest win for Infinix on hardware quality is the battery life, especially on its Infinix Hot Note series. The other day when Kenya Power decided to switch off power the whole day, I decided to waste the whole day playing chess (a very power hungry App) between 10 AM until the power was back at 6.30 PM. By the time the power was back, the battery had drained to 43%. This is compared to every other phone in the estate that people were using to browse, making calls with or constantly texting with back and forth that had their power drain by lunch time. Remember I had praised the battery usage on Microsoft Lumia 640, but even that had to leave my wife without access to phone services by 3 PM of that blackout day. Then there is the software part of quality. Both Infinix and Tecno phones run on Android and today they are mostly on Android 5.1 Lollipop. In this regard therefore their efficiency would likely be the same. What differs between the two phones is that Infinix is powered by XUI user Interface software whereas Tecno has decided to venture into the HiOS User Interface. What I have realized when using the Infinix phones is that the phones take their sweet time to both boot up and start Apps. The lag time may be very annoying at times. Tecno on the other hand boots pretty first, opens Apps even faster, and has indeed beautiful animations when toggling between Apps. The big issue with the Tecno HiOS is that in some cases the Apps do not respond to inputs. For example you can’t imagine it took me over 30 minutes to withdraw money from MPESA simply because the Tecno Boom J8 could not respond to text input when I was trying to enter the Agent’s number, the amount to withdraw and my MPESA PIN. I have also realized that non-response when trying to input text on SMS and other text centric Apps. Overall when it comes to hardware quality and user interface, Infinix wins big time. Infinix vs Tecno; which Brand do People Like to Associate with? Tecno is popular, and that is because it has been here for much longer. When it comes to pride though, I find those who own Infinix phones more enthusiastic about their phones as they are normally ready to talk about the advantages their phones have even against phones from top brand names like Samsung, Sony and LG that are trying to sell low and mid budget smartphones too. The advantages Infinix offers users is top end specs at a very affordable price points. Consider the Infinix Hot Note 2 4G version for instance. The phone has better battery (4040 mAh), bigger screen (6 inches), good RAM (2GB) and sells for shs 14,000 only compared to the recently launched Tecno Boom J8 that has similar 4G and RAM specs but smaller screen and is selling for shs 17,000. Given that more people own Tecno than Infinix phones despite the obvious favorable prices for Infinix phones, it is easy to conclude that people love associating with Tecno phones. However, when user satisfaction is taken into consideration, more Infinix users are satisfied with their phones compared to users of Tecno devices. Here – I would say Tecno wins simple because many people own Tecno smartphones. Personally, I think Infinix will be the end winner in the Infinix Vs Tecno battle that’s shaping up. Infinix did it again. It availed a high tech gadget at a price point so low that anyone who cares can own one. It’s the Infinix Note 3. At the announcement of the Infinix Note 3, Benzer Bett told you how the specs are mwaa – and true to his expectations, Infinix Note 3 offers one of the best smartphone experiences a phone user can have. As we promised, we have spent roughly a week with the device and now it is time to share with you our Infinix Note 3 Experience. One of the first noticeable differences between the Infinix Note 3 and its predecessor Infinix Note 2 is the body. Infinix Note 3 is covered in a premium metallic casing that comes in four flavours; the Palm gold, Crystal gray, Champagne Gold and Glossy silver variants. We received a gold variant and loved it. It looks, speaks and feels class. This is not a phone you want to hide deep in your bag or pocket. It’s a phone that you would really prefer to let everyone know that you have upgraded your mobility class to Infinix Note 3. Then the phone is large. At 16.25mm by 8.28mm by 0.84mm, Infinix Note 3 is slightly taller and slightly thinner than Infinix Note 2,and it’s not heavy at only 199 grams. Compare this with the Samsung flagship – Samsung Galaxy Note 7 that weighs 169 grams. The large size of Infinix Note 3 allows the device to host a 6 inch full HD 1080p screen made of IPS LCD tech. The screen is protected by glass that hasn’t been specified, but it isn’t the premium Corning Gorilla Glass 3 and above that are scratch and break resistant. This is why the phone is shipped with a screen protector (film) that you need to install immediately you unbox the device. The body of Infinix hosts two slots – one dual slot at the top left side for the SIM cards and at the top right side you’ll find the second slot for the MicroSD card. Below the MicroSD slot are the two volume buttons and the power buttons. The 3.5mm audio port is at the top while the micro USB port for charging and data transfer is nicely placed at the bottom. At the back of the body you’ll find a slightly protruding 13MP shooter, an LED flash below it and the fingerprint scanner wrapping the back design. At the top front face you’ll get your usual sensors and the front facing camera that has been upgraded to a 5MP shooter. In addition there has been included a front soft LED light to allow selfie lovers to always take very lovely pictures. More on the cameras below. Infinix Note 3, despite it delivering high end mobility experience, is a mid range device – meaning that a few compromises had to be made in order to provide the user with a fluid device but without having to break the bank. The compromises aside, there is a Mediatek 64 bit 1.3GHz octa core processor that powers the Infinix Note 3. Tagged alongside the 64 bit processor is an ARM Mali T720 MP3 450MHz GPU for high quality video and other graphics experience. For storage Infinix Note 3 comes with 16GB in-built but this shouldn’t worry you as the phone supports MicrosSD card up to 128GB. For speed and efficiency, the phone runs on 2GB RAM – an upgrade from 1GB RAM in Infinix Note 2. Infinix Note 3 model in the market right now is the 3G version, although reports indicate that a 4G LTE model will be released soon. The 3G model promises to deliver up to 150 Mbps downloads and uploads of up to 50 Mbps. The 3G connectivity runs on WCDMA 850/900/2100 bandwidths alongside the cellular connectivity on GSM 850/900/1800/1900 bandwidths. The phone also has a number of sensors that include GPS-Sensor, Light Sensor, Proximity Sensor, Hall Sensor, and Compass Sensor. At the heart of Infinix Note 3 is the Android version 6.0 (Marshmallow) that has been hailed as one of the most efficient mobile operating systems. The Android 7.0 Nougat hasn’t been widely adopted and is still under improvement, so Marshmallow can be considered as the best mobile OS currently in the market. Other than Cubot phones that pack batteries of over 5000mAh, the selling point for Infinix Note series has been their huge battery capacities. The Infinix Hot Note came with a 4000mAh battery which was followed by a 4040 mAh battery on Infinix Note 2. The Infinix Note 3, given that it features a full HD screen of 1920 by 1080 pixels, has its battery vamped up to 4500mAh. The juice in the 4500mAh lasts for about 18 hours under normal use (a few hours of video viewing, gaming, talk time, browsing, and social media). On Ultra power mode, the battery promises to deliver up to 50 hours 50 minutes of normal use time which basically would include calls, text messages, doing a few calculations, taking notes, voice recording and keeping track of time. All other phone functions are turned off at the Ultra Power saving mode. To test whether Ultra Power is actually working, I charged the phone up to 100% battery capacity then turned it to Ultra Power. The phone lost 1% of power after 4 hours of idle time, and according to battery information I still had 50 hours 20 minutes of usage time left. Infinix Note 3, just like the predecessors, also features the flash charging tech but there is a slight difference – the ability to obtain up to 200 minutes of talk time with only 5 minutes of charge. You may compare this with the Samsung Galaxy S6 and above that promise up to 4 hours of use time with only 10 minutes of charge. According to Infinix Mobility website, the 5 min charge for 200 minutes talk time “has been realized by the inclusion of duo 4.5A charging engines with PE+2.0 technology promoting a fast and safe charging process”. PE+ or Pump Express plus is a Mediatek charging technology that promises to cut the battery charging time by half – and will give about 75% of the charge in only 30 minutes. The problem with fast charging is heating. A number of Infinix Hot Note users reported that their phones always overheat while charging. To alleviate this problem in Infinix Note 3, Infinix has incorporate the high tech aerospace cooling system that is normally used to cool satellites. “Infinix NOTE 3 Aerospace Cooling Technology utilizes technology originally developed for cooling satellites with the inclusion of copper pipes built into the NOTE 3 that carry fluid through the device as a method of preventing overheating. When overheating, the fluid evaporates and the extra heat is circulated as water vapor. Note 3 boasts the unique inclusion of ACT, providing both faster and more efficient charging”, explainsInfinix Mobility. A totally new addition to the Infinix Note series is the fingerprint scanner that has been included in the Infinix Note 3 – and the scanner is damn useful. The fingerprint App enables the use of fingerprints for unlocking the phone, locking Apps using the App Lock tool, hiding Apps with XHide, taking photos which is very useful when taking selfies, Accepting calls, or browsing photos in gallery. Using fingerprints to unlock the phone works like magic. For example, I timed that it takes me roughly 5 seconds to press the power button in order to turn the screen on, swipe the screen to reveal the PIN input keypad, input my PIN, and unlock the phone. However, when I opt to use the fingerprint to unlock the phone, the entire process reduces to only 50 milliseconds (timed using a secondary stop watch). The phone will warn you that the PIN is more secure than the fingerprint, but every single attempt to unlock the phone with the wrong finger or wrong part of the right finger has failed thus far. Infinix decided to put the fingerprint scanner at the back of the phone, and this decision was a very clever one. You’ll find this placement very intuitive when taking selfies. In most cases, pointing the phone at your face and at the same time having to press the shutter button that is at lower front screen is cumbersome. The fingerprint scanner at the back however allows you to take selfies very conveniently and within milliseconds by simply placing the fingers at the back of the phone. You’ll need to try this at home to appreciate what I am trying to say. Infinix Note 3 camera will not compete with cameras in the Samsung Galaxy S and Note series, neither will it be seen next to iPhone cameras, but for a price range of only Kshs 14,500, Infinix camera delivers beyond expectations. Infinix Mobility has also included quick camera options named Beauty, Professional, Normal, Panorama, Night and Picture in Picture (PIP) modes. The PIP takes a picture with both the selfie and rear camera simultaneously so that the photographer is not left out of the action. The picture below of Meru town was taken by the Infinix Note 3 rear camera – Beaty mode. Other options for shooting include the Elegant, Calm, Movie, Gorgeous, None, Memory, Fresh, Cool and Mono modes. I liked the Movie mode as it has rich colour reproduction. .
As mentioned already, the selfie camera on Infinix Note 3 is a 5MP shooter – the minimum megapixels a phone camera should have. This is a huge step from the 2MP shooter in the previous Infinix Note series that I avoided like plague. Although I am not photogenic, the selfies I took with the Infinix Note 3 were tolerable. A few friends including my soulmate who tested the front camera fell in love with it. If you are one of those filled with self love and prefer to take pictures of their faces every few seconds for Instagram, then Infinix Note 3 is your budget smart friend. The selling point for both the rear and front cameras is the built-in blue glass meant to avoid flare and “to capture the perfect crystal-clear moments even in harsh lighting conditions”. Infinix Mobility also state that the main camera also provides PDFA auto-focus technology to capture sharp images in less than 0.25s. For Kshs 14,499, there isn’t anything really in Infinix Note 3 you’ll convincingly say is bad – except one thing – the SIM and MicroSD slots. The slots require you to have a metallic pin in order to open up – a requirement that may prove extremely inconveniencing when travelling and you need to either remove or insert a SIM card or MicroSD card – this is despite the fact that the phone comes packed with a slot removal pin that can easily be misplaced given its tiny size. If you are someone who never removes SIM or microSD cards, this small issue shouldn’t worry you at all. Infinix Note 3 is currently available at Jumia Kenya for Kshs 14,499. Do you wish you could afford a hot phone? A high end smartphone? An iPhone? A Samsung Galaxy S6 for Shs 75,000 or even the master piece Samsung Galaxy S6 Edge for Shs 85,000? Do you curse yourself that you can’t afford to part with two months salary to buy a smartphone? You don’t have to. I got good news for you. Extremely good news. As high end smartphones reach their specs limits, budget smartphones are undergoing rapid evolution and are determined to catch up in core specs. Google, Samsung, LG, Lenovo, Microsoft, Tecno, Huawei, and now Infinix are emerging as tech companies highly interested in producing budget smartphones affordable to virtually every human being. But it seems Infinix is way ahead in this game. Take for example Google’s Android One range of smartphones made for developing countries. They are generally smartphones with features such as 4.5 inches screen, 5 MP rear camera, 2 MP front camera, dual SIM card slots, a replaceable battery, and are powered by 1 GB RAM and a 1.3 GHz quad-core MediaTek processors. The prizes of these phones range from Shs 10,000 to Shs 16,000. Microsoft on the other hand is currently promoting three budget smartphones. These include the Microsoft Lumia 535 retailing at Shs 14,000, Microsoft Lumia 435 at Shs 10,000 and the just announced Microsoft Lumia 430 that might retail for Shs 8,500 but not less than Shs 7,000. The first prices of the first two can be said to be “expensive” as they clock over Shs 10,000 psychological limit for most Kenyans. But the Lumia 430 will definitely retail for below Shs 10,000. Assuming it will go for Shs 7,000, then price wise it will be comparable with Infinix hot x507. So let us compare the two. Infinix hot x507 is already available via Jumia Kenya for Shs 6,999 only. The phone, although has marked price way below Shs 10,000, has specs for phones that are currently retailing at Shs 30,000 and above. In the article The irritating wait: It takes 21 days to get items from Jumia Kenya, I told you that the Infinix phone is better than Samsung Galaxy S3 in many aspects – well except for the screen and rear camera specs – but in usage you wouldn’t really notice the difference. On the other hand, specs for Microsoft Lumia 430 are actually those of a budget phone. The display is not the 5 inches of Infinix hot x507 but a mere 4 inches screen size. If you have used a phone with 4.5 screen and above, I am sure you’ll never go back to a smaller screen. A large portion of a phone’s cost is determined by the screen. Crack that screen and you’ll know what I mean. 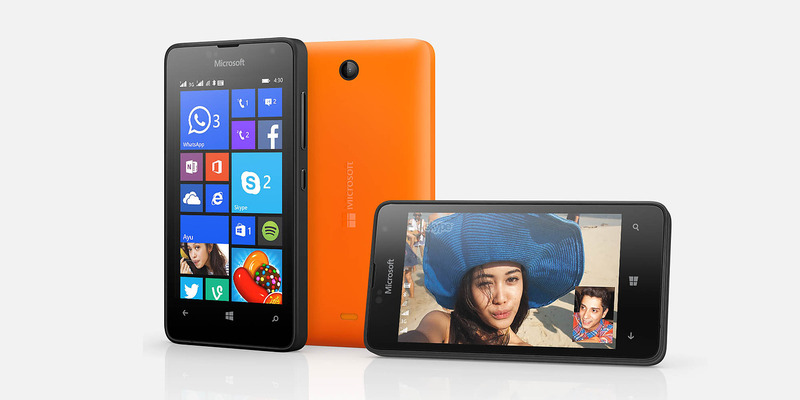 Thus, to make Microsoft Lumia 430 very affordable, Microsoft has decided to go very minimal on screen size. If they could make the screen usable at 3.5 inches, the size of the first iPhone, I bet they would have gone back in the days. Infinix seems to have known better. Instead of compressing the display size, they decided to play around with the pixels and display technology. The FWVGA display on Infinix hot x507 has a usable resolution of 480 by 854 pixels at 196 pixels per inch that will allow you to basically see the images and videos normally. There isn’t anything major that you will miss with the display. When reading, watching or viewing, you’ll only need to place the display a distant from your eyes and all will be fine. Microsoft Lumia 430 is packed with the same amount of pixels at 480 by 800 giving it a pixel density of 235 ppi. Given that the screen size is small, the viewing experience in Lumia 430 is a bit higher but usability especially typing, is greatly compromised. I bet those with big thumbs like me will struggle three to four times to have that damn password typed. In other specs, when the Lumia 430 wants to give you only 8 GB of internal storage, Infinix hot x507 gives 16 GB, although the two phones feature the same 1 GB RAM capacity. Microsoft Lumia 430 has a Qualcomm Snapdragon 200 dual core clocking 1.2 Ghz whereas the cheaper Infinix hot x507 boasts of a 1.3 GHz quad (not dual) core CPU by MediaTek. And yes, the rear camera on Infinix xhot 507 is 5 MP camera, two and a half times the rear camera on Lumia 430. And I tell you, the Lumia 430 has just a VGA front facing camera yet the x507 has a 2 MP selfie camera. In summary, the specs in Microsoft Lumia 430 are similar to those in other budget phones but those in Infinix x507 are for high end smartphones but three to two years behind. The story does not stop there. Cool features- This device has some seriously cool features like the Gesture-based Quick Start that allows you to “quick start” the phone unto a predefined app by simply drawing figures on the screen when inactive, a Pick-up to call feature that enables you to call a contact that is displayed on a screen whenever you place the device close to your ear (borrowed from S3), Inadvertently mode that enables the device to be inactive even when the screen is active but not in use, Ultra lower power mode that helps get that extra juice out of the Infinix Hot Note battery, especially when its very low, Tap to Wake that locks and unlocks the screen by double tapping on an empty space, and the Voice activated unlock and quick start that allows you unlock the Infinix Hot Note using voice commands and set up to 3 different voice commands to quick start the phone to predefined apps like the camera, messaging and dialler. All those goodies in a gigantic 5.5 inch HD display with a battery to last you up to two days in normal use does not demand you to cough Shs 74,000. No, not even 54,000 price range for most phones with similar specs. No, the phone is not going for Shs 35,000 either. Infinix Hot Note x551 is retailing for as cheap as the price for Microsoft Lumia 435. Actually cheaper. 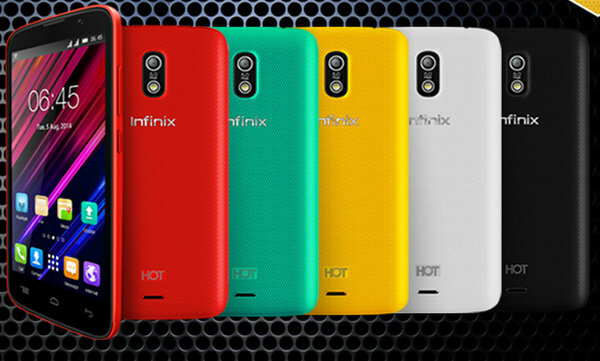 Infinix Hot Note is now being sold at Jumia Kenya for only Shs 9,999. No, it’s not April 1st yet. You still don’t believe me? Just Google. Do you know what phones Infinix Hot Note x551 compare with? We are talking about phones like LG G3 except for the QHD screen, Samsung Galaxy Note 3, Samsung Galaxy S4 or even Samsung Galaxy S5 except for the advanced camera and heart rate monitor in the S5. What Infinix Hot Note is telling you is that even if you can’t afford Samsung Galaxy Note 4 or the yet to be launched (in Kenya) Samsung Galaxy S6 and S6 Edge, don’t worry, you’ll still get closer to those phones for only Shs 9,999. The only thing you’ll miss is that fulfillment only extravagant spending. This is Infinix hot note – it goes for only shs 9,999. Isn’t it beautiful? Microsoft, Tecno, Google, Samsung – please open your eyes. The writing is on the wall. Microsoft President Mark Smith has called for a “Digital Geneva Convention” to establish rules against cyber-attacks aimed at civilians. According to Smith, tech companies should remain neutral in international conflicts. He was speaking in San Francisco at the RSA conference, one of the biggest cybersecurity events in the world. Smith noted the growth of cybercrime for financial gain and the proliferation of state-sponsored cyber attacks. In a blog at the official Microsoft website, Smith envisaged how the organization would work. According to the blog post, the organization should have a panel of technical experts who can analyze attacks, share information across nations and set up binding rules and guidelines that nations could adopt to for the protection of their citizens. Among the suggestions Smith makes is the adoption of a collaborative effort to prevent and defend against nation-state cyber-attacks, ending attacks by private companies on behalf of the government, making software patches available and encouraging nations to stop making cyber weapons. Initial plans to develop International cyber rules were already laid down by the UN in 2015 after they brought in experts from 20 nations to craft rules for nation states aimed at promotion of an open, stable, secure, and peaceful ICT environment. A bilateral agreement signed between the US and China in 2015 was also cited. The agreement sets out the rules surrounding cyber-attacks. The acknowledgment of cyber security as a global problem by major world leaders including former US president Barack Obama has stressed the importance of developing a unified cyber guidebook to govern behavior in cyberspace. In the event that governments disagree, Smith suggests that tech companies protect their users. “Just as the Fourth Geneva Convention recognized that the protection of civilians required the active involvement of the Red Cross, protection against nation-state cyber-attacks requires the active assistance of technology companies,” Smith wrote. Three days ago someone sent a “please call me thank you” message to my friend’s number. My friend called back but the call wasn’t picked, several times. He asked me to help him find out who the “flasher” is. I called and talked to her, a talk that gave me a new name, a name I wouldn’t like to make public. My friend wasn’t satisfied, he really wanted to know who the **** sent the please call me message yet could not have the gut to pick his call. We brain stormed, then remembered there is Google. We Googled “How to know unknown caller” and we go a number of tips – some which involved using a web based search or use of some apps. Part of the solution was the use of Truecaller App. I downloaded the Truecaller on my Android device and input the number of the flasher. Truecaller was true to its duty and returned a name for the number, but sadly the name was only one name, which wasn’t helpful. Have you ever been in a similar situation? Some strange number could be calling you and for some strange reason, you don’t want to pick that number up. Maybe it is my ex using a friend’s number – you reason. Or your landlord that you have been avoiding has decided to use a different number. Reasons for desiring to know the owner of the strange number are also positive. You obtained the number of that beautiful girl you haven’t had guts to talk to. You want to call her but you can’t. You wish you knew her name first. Or a friend that you forgot to save his/her number calls, you receive the call, only to be embarrassed after asking, “who is calling?” Last scenario – she gave you her number but lied about her name. Other than being able to obtain the names behind the unknown numbers, you can also be lucky to see the photos behind some of those numbers you could have fraudulently obtained. Let’s finalize with the names first – then the photos. Truecaller is a the world’s largest mobile phone community for mobiles, and accessible via a Web site, developed by True Software Scandinavia AB. It finds contact details globally given name or telephone number, and has an integrated caller IDservice to achieve call-blocking functionality and social media integration to keep the phonebook up-to-date with pictures and birthdays. The name Truecaller comes from the app being able to show the True name of the Caller. The client is available forAndroid, BlackBerry OS, iOS, Series 40, Symbian s60, BlackBerry, and Windows Phone. Using Truecaller is very simple, you only need to download it from your OS’s market place and follow instructions after installing. On the top right corner of the App, there are two tiny icons. The first one is the History icon that indicates the numbers and names of all calls made – including messages sent. When making a call, Truecaller will automatically search for the name of the person being called in case the number is not yet saved in the address book. You can also search for the names manually by entering a number at the search bar – only be sure to include the correct country code below the search bar. Is there any reason you wouldn’t want to use Truecaller? After we found out the name of the flasher, my friend was pleased but commented “we are not private anymore”. I disagree, if someone already has your number, what harm is there in obtaining your name? In Kenya, even without Truecaller, one only needs to send a 10 bob M-PESA (the likelihood that the number will be a Safaricom’s number is over 80%) and viola, you have his/her names as they appear on the National Identification document. Truecaller is actually lenient. Instead of obtaining names from government registries, it does obtain names from social media and other online sources that it has integrated with. This I verified after searching for my mum’s name on Truecaller but the result was “No match found”. The search result must be because my mum has zero details online. I think privacy issues will be of concern if and when services like Truecaller incorporate what my friend wishes for – the ability to search for numbers by typing in names in the search bar. That would mean, if you know my name, you have my number. I’m basically through with this article but I promised to show you how to see the photos of some people you accidentally have their numbers – for whatever reason. Just add the number to your phone book, give it a name e.g. from Truecaller, go to WhatsApp, update contacts, and if you have the new contact in the contact list, check on his/her photo. If not yet, just be patient – an active user will update his/her profile with a photo of his/her face in not so distant future. If the number owner is not on WhatsApp, he/she is most probably on Facebook. Be sure you have the Facebook App on your phone. Go to Find Friends from the Facebook App, Press “Contacts” then Find Friends – He/she would be one of those many suggested friends from your phone contacts. All the best with stalking! Microsoft is disabling Skype for users running older versions of the app on their Windows OS and Mac OS machines. Come 1st March, 2017, users on the older versions will no longer be able to log in to Skype. By older versions we mean Skype for Windows desktop version 7.16 and below and version 7.18 and below for Skype for Mac. The only alternative for these users, if they wish to continue using Skype, is to upgrade to the latest version. Microsoft goes ahead to entice users with a free update for that matter. You have less than a month’s notice to grab the upgrade. When the tech company retires older versions of Skype, all individuals still using older versions of the app will be signed out of Skype automatically and won’t be able to sign in again until they upgrade to the latest version. Ability to send video messages to a group and save your favourites. If you run the latest update of Windows 10, the Anniversary Update, you should not be worried. You can continue using the Skype Preview app that comes bundled with the Anniversary Update. The Skype Preview app makes accessing calls, video calls and group video calls easier than ever before. It is integrated with Windows Action Centre for quick notifications if you miss any call. Uber is mapping the planet. The ride-sharing company has shown its commitment to having its own mapping data by rolling out map-cars in Singapore. This is one of 5 other countries that the mapping vehicles have been put in all 5 major continents. The cars are cryptographic driver rides with mapping tech on top to collect data on real trips. According to the company, Uber will not keep imagery from the end points of your trip thus eliminating the issue of privacy. The data collected will also not be made public. The company is a long way to getting its own comprehensive mapping data with mapping hardware only available in one country per continent outside North America. This though is an important step to reaching that goal. Uber relies on google for its regular mapping and has a strong incentive to develop a mapping product of its own. Last year, it was reported that Uber planned to spend at least $500million on the ambitious mapping project. Additionally, the company has taken to poaching some of Google’s brightest mapping talent including Amit Singhal, Manik Gupta and Brian McCledon, all engineers involved in the core making of google maps. The data collected will reflect the harder-to-pinpoint aspects of routes such as which side a building is facing. This will also be a major asset in Uber’s plan to roll out self-driving cars especially in Singapore which has embraced autonomous technology at a fast pace. The mapping investment by Uber is likely to pay off hugely when robotic ride-sharing is commonplace. The mapping cars are currently operating in US, Mexico, Canada, the UK, South Africa Australia and Singapore.